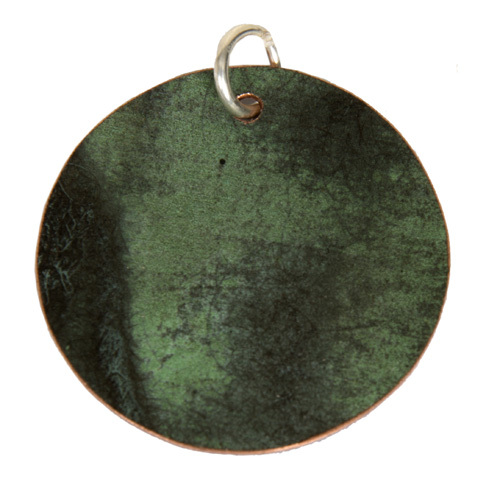 This copper pendant is a beautiful memento of the original green roof at the Kansas State Capitol. When the copper roof was replaced in 2013, the historic copper was made available to the Kansas Historical Society and Kansas Historical Foundation for use in products to be sold in the Capitol Store. 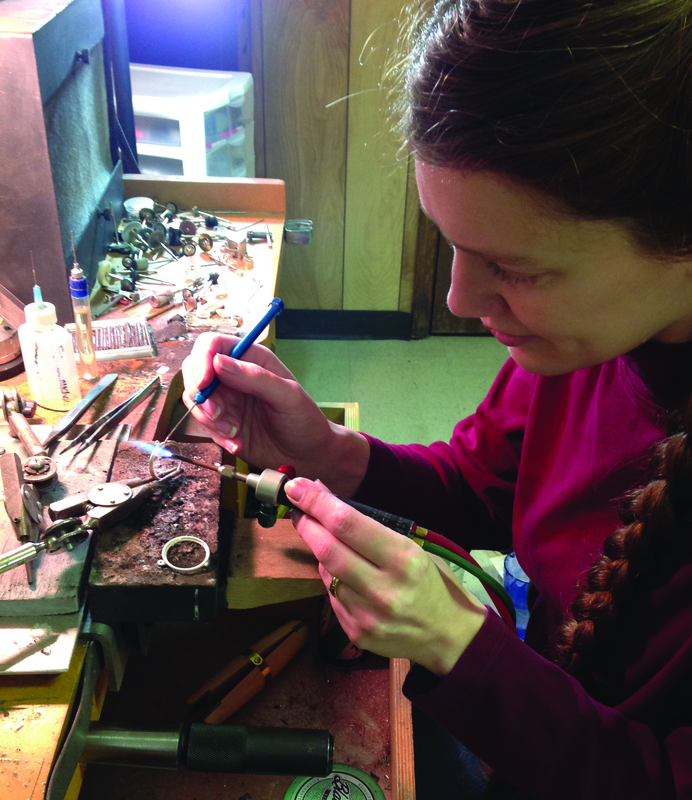 Kristen Haug, a metalsmith in Silver Lake, Kansas, believes materials should inspire the piece. She creates jewelry items with historic copper from the Kansas State Capitol roof. Haug’s wearable art combines gemstones for embellishment on unusual materials to emphasize their beauty. The copper pieces she makes exclusively for the Capitol Store are set in specially built environments or nests. Haug has created numerous earrings and pendants with the historic copper. She pictures one series as doors that lead to a magical garden with vines of silver, offset with amethysts or agates. She has had a lifelong admiration for the natural beauty of stones. Haug received a design degree from the University of Kansas and a graduate gemologist certification from the Geological Institute of America. She allows materials to inspire her pieces, and expects that the piece will provide enjoyment for more than one season.